"We didn’t realise we were making memories we were just having fun!" 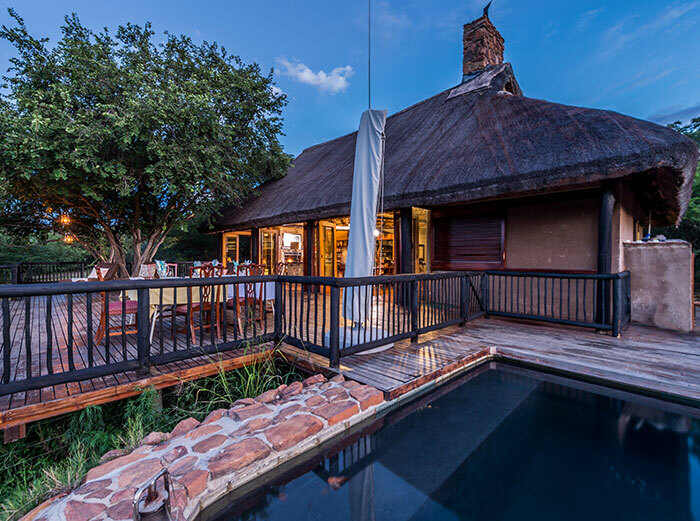 iBhubesi Private Game Lodge is a family friendly self-catering private lodge that is booked in its entirety (the whole lodge) for you, your family and friends exclusive use. Although guests are responsible for taking their own food and beverages all meals are prepared for you by our resident chef. 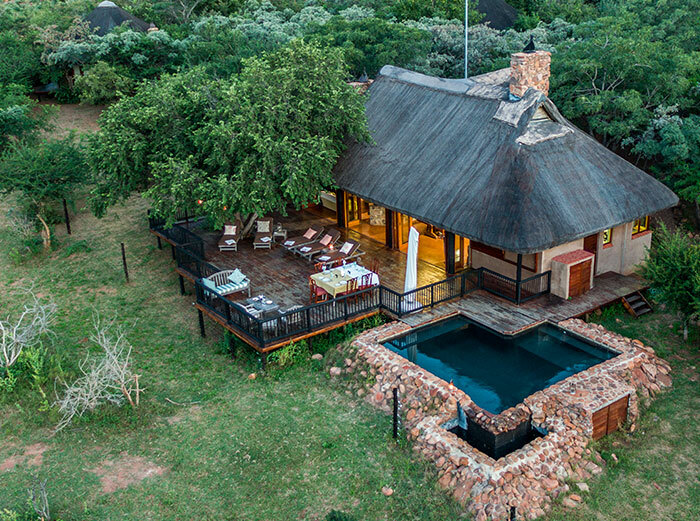 The Lodge is located in the Malaria Free Big 5 Welgevonden Game Reserve a mere 2 1/2 to 3 hours drive or quick 45-minute flight to one of the airstrips in the reserve from Johannesburg. 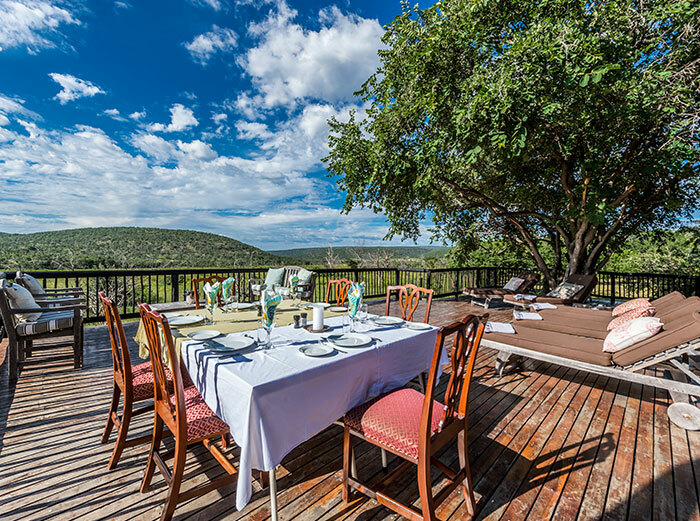 The main lodge consists of an open plan lounge and dining area adjoining an open viewing deck and swimming pool. In addition, there is a Boma where you can enjoy a dinner around a fire regaling stories of the day whilst surrounded by the African night sky. 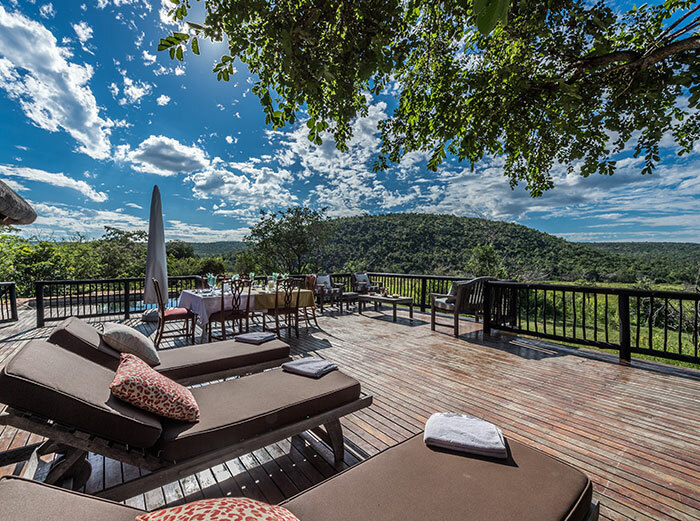 There is something truly memorable about enjoying a lazy lunch on the deck whilst overlooking the iBhubesi Plains and watching animals roam leisurely past – a true African experience. Guests have the choice of five separate en-suite chalets each with an outside shower and their own fireplace for those chilly winter nights. The chalets are nestled within the trees surrounding the lodge and each is spacious enough to include extra beds should you wish to share a chalet with your younger children. There are 3 chalets with queen double beds and 2 chalets with twins beds that can be pushed together if required. 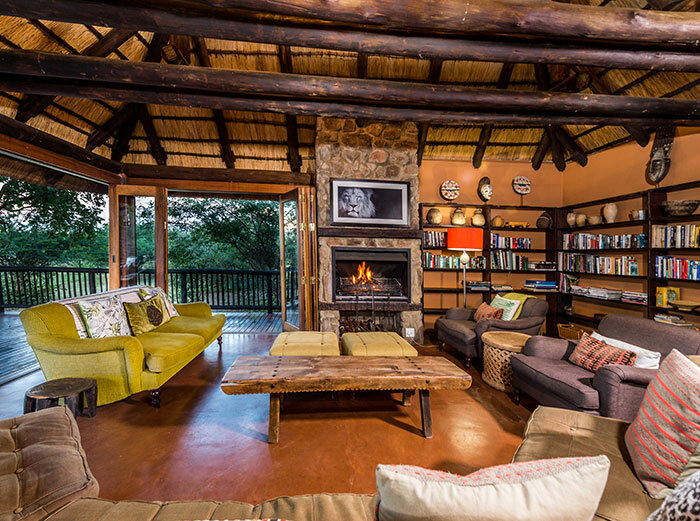 The lodge accommodates a maximum of 10 guests per night. This is definitely self-catering with a difference. Although guests are responsible for taking all their food and beverages with them to the lodge all meals are prepared for you by our resident chef. You decide together with the chef what is planned for each meal, what time it suits you to eat and whether you would prefer to eat out on the deck, inside the lodge or alternatively at the boma. 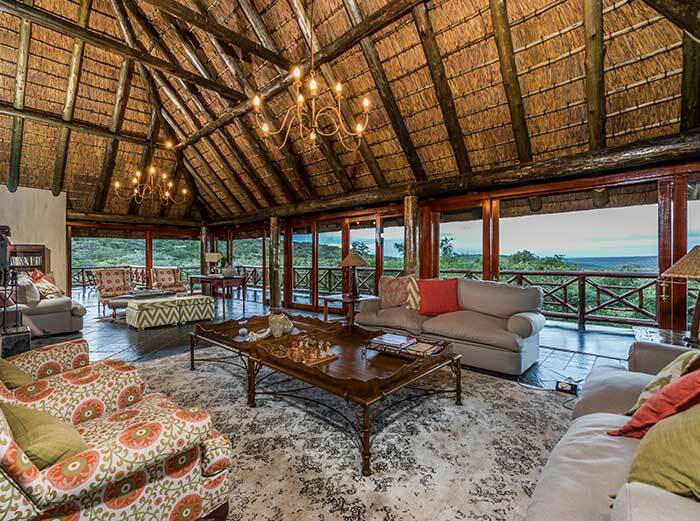 Viewing deck overlooking the iBhubesi Plains, Swimming Pool, Lounge with fireplace and library, Dining area with Fireplace, Bar Area, Boma with braai area, Electrified Perimeter Fence, Private Game Vehicle and All linen, bath towels and soaps are included. 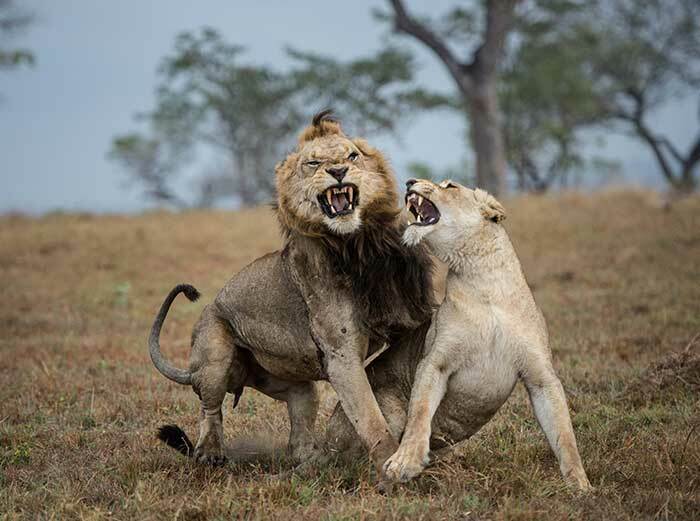 Included in your stay at the lodge are morning and evening Safari game drives together with your personal accredited and experienced game ranger. 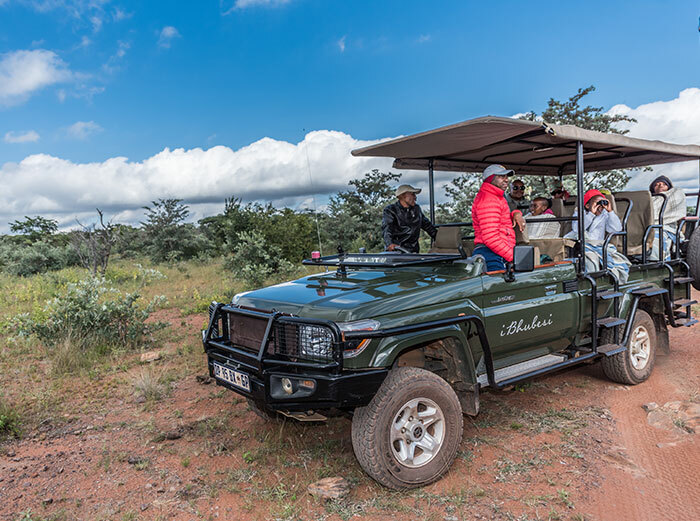 The morning game drives are preceded by a coffee or cup of tea and a rusk and depart at a time that is convenient for you and your group. You will get a chance to stretch your legs during the morning drive which is accompanied with tea, coffee and our special muffins prepared each morning by our chef. 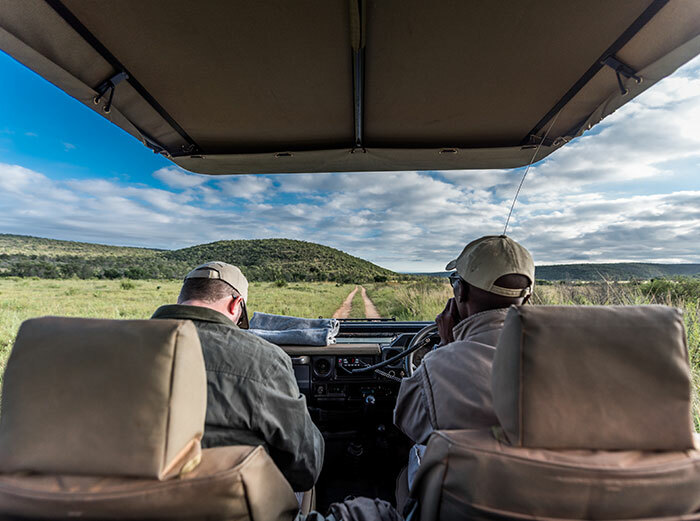 Afternoon game drives include sundowners in the bush together with your snacks and favorite drink to watch the African sun bid its farewell for another day.